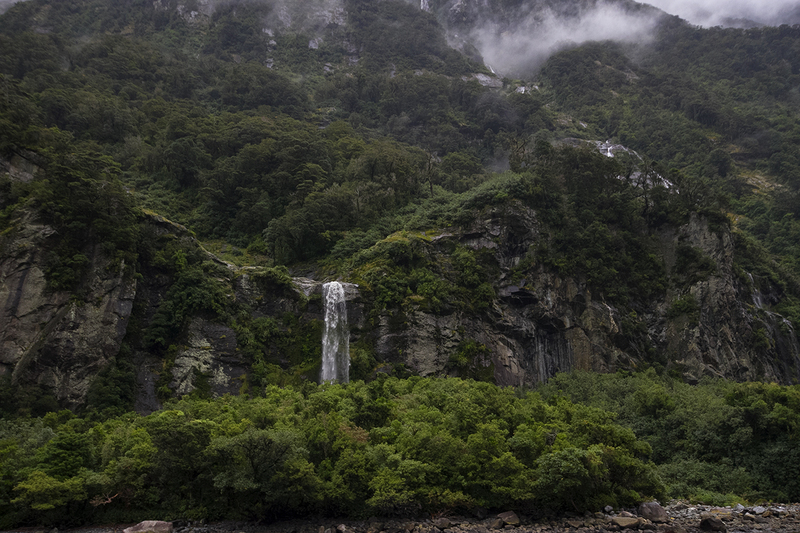 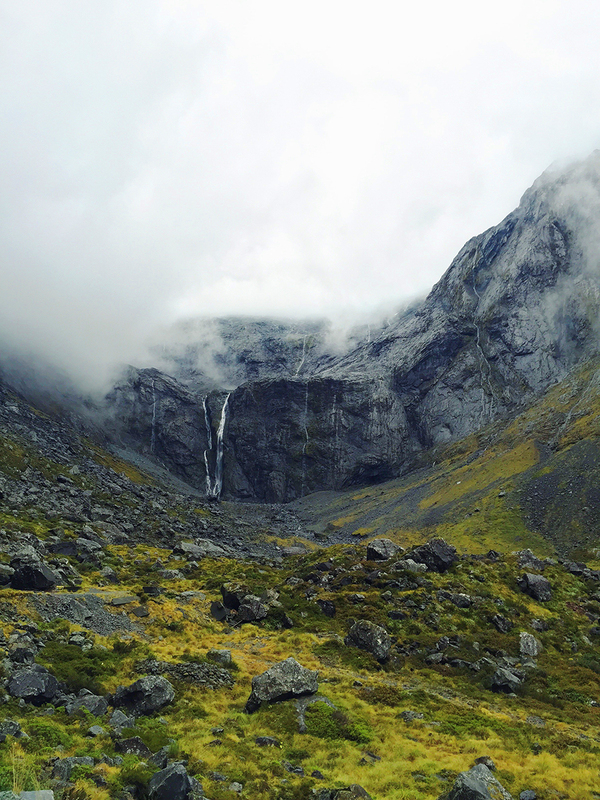 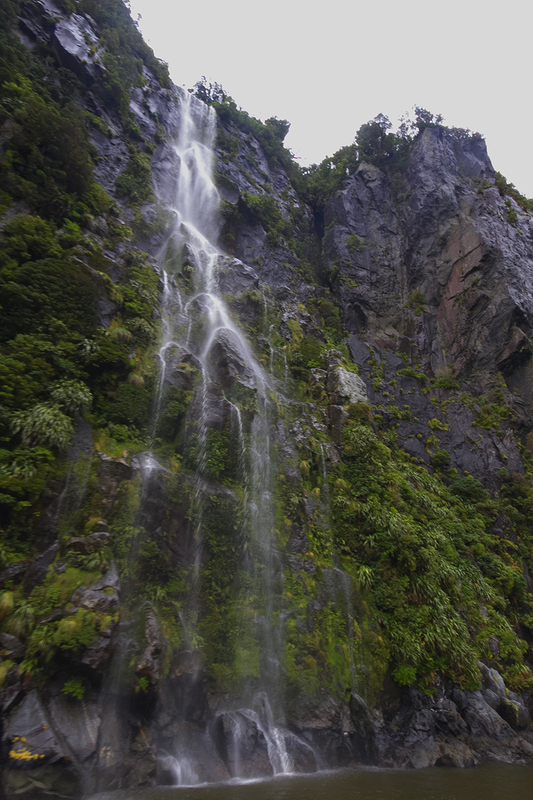 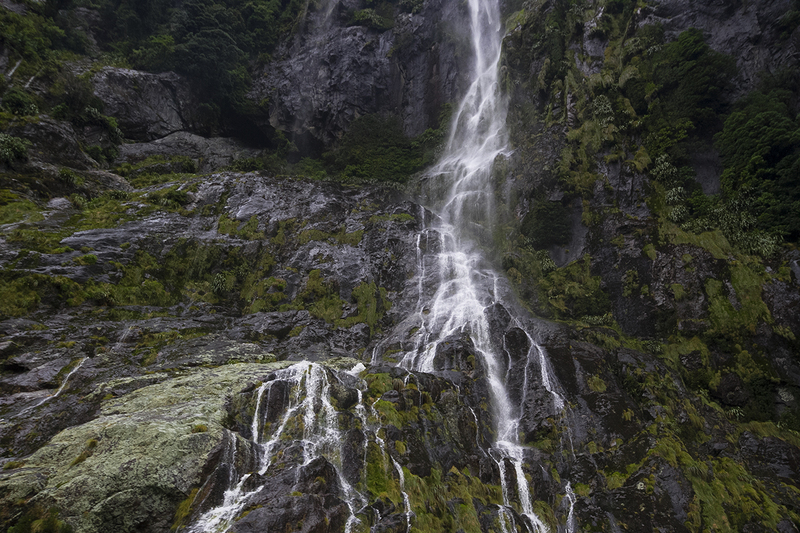 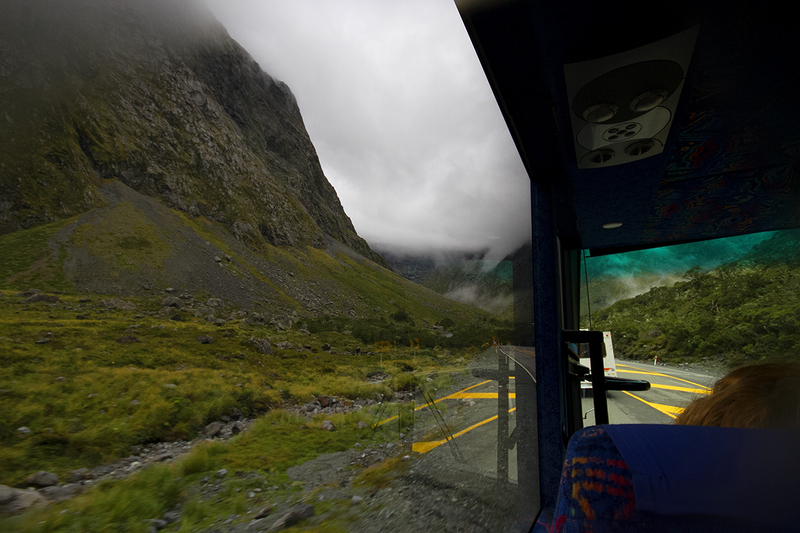 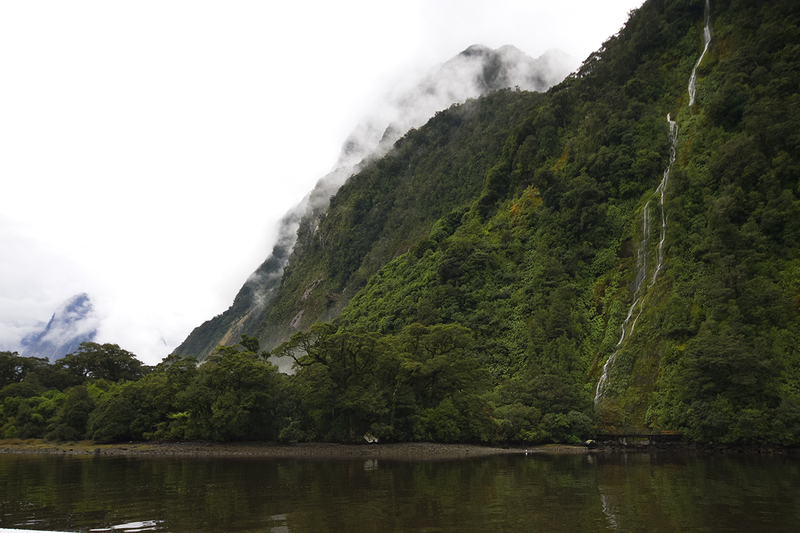 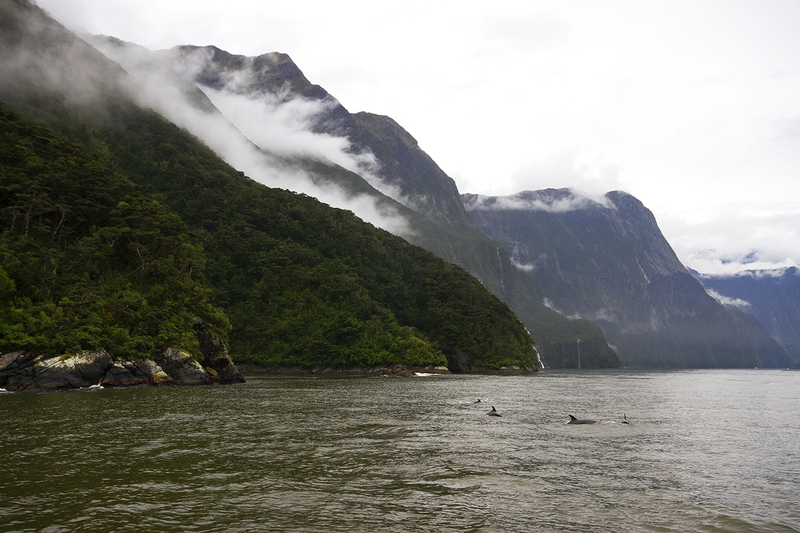 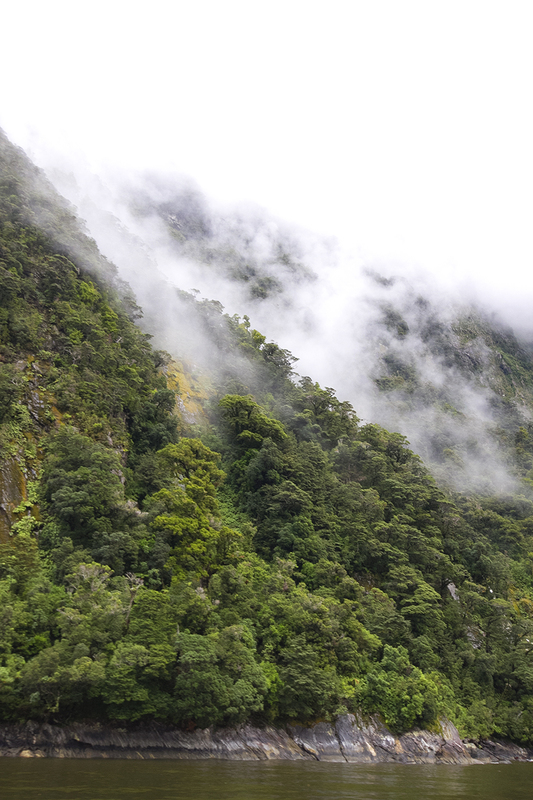 It’s difficult to describe how incredible my Milford Sound experience was. 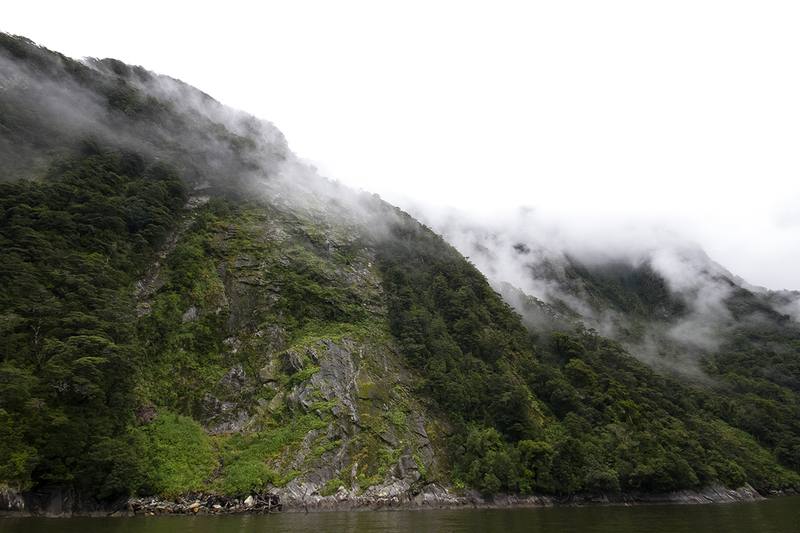 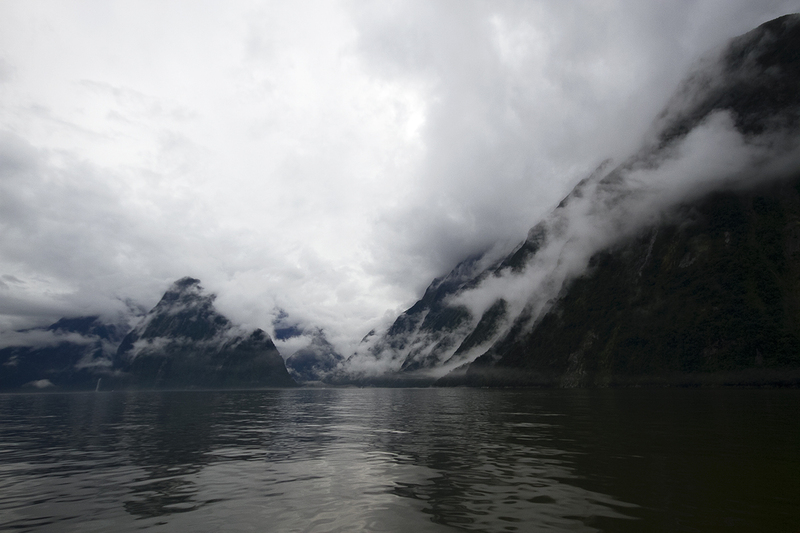 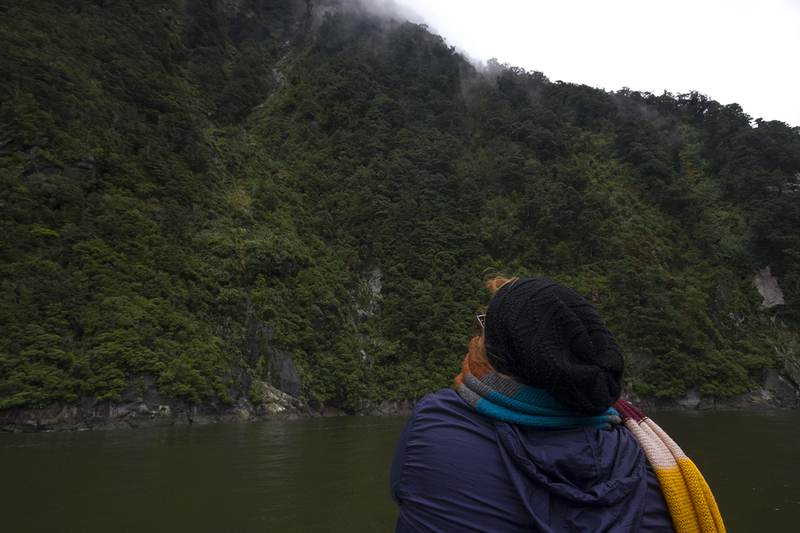 We cruised on a small boat through the Sound, surrounded by 400 million year old mountains and low, thick cloud. 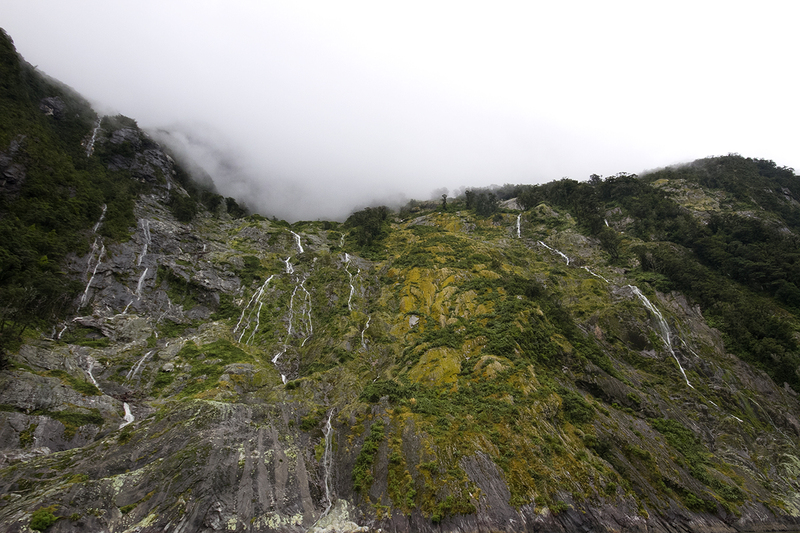 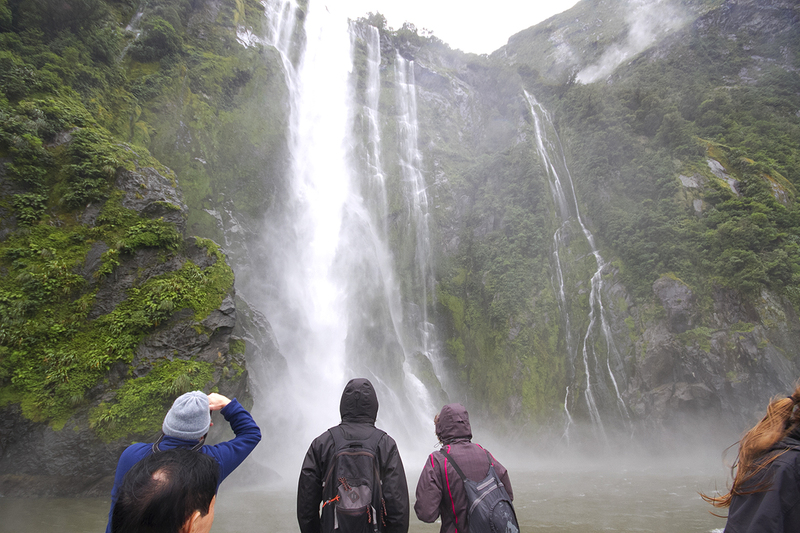 There were hundreds of gushing waterfalls and everything was covered in lush greenery thanks to recent rains. 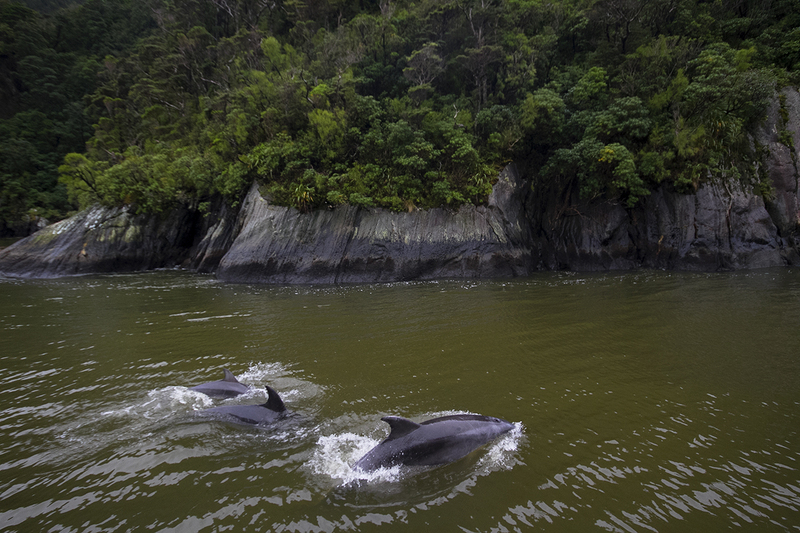 Not only did we get to see a wide variety of birdlife and wild fur seals, we were treated to the privilege of a rare interaction with a pod of wild bottlenose dolphins, including a mum and her calf. 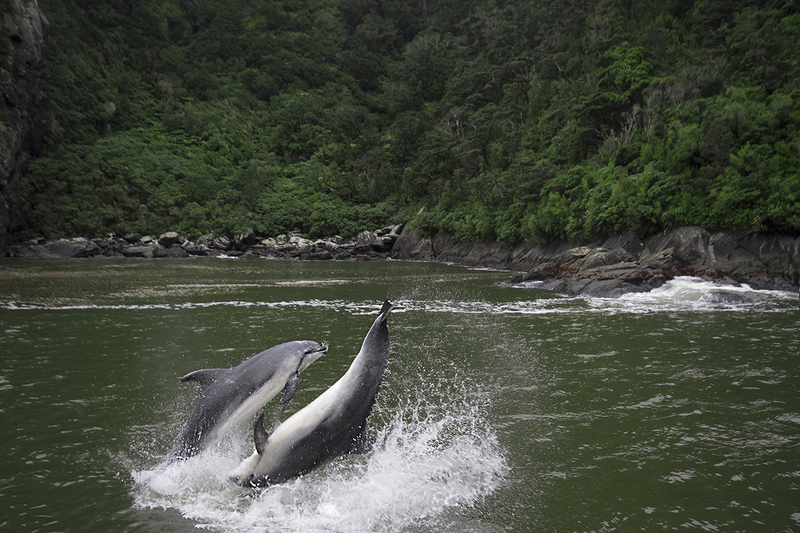 They swam around and under our boat, jumping and flipping and watching us admire them for about half an hour. 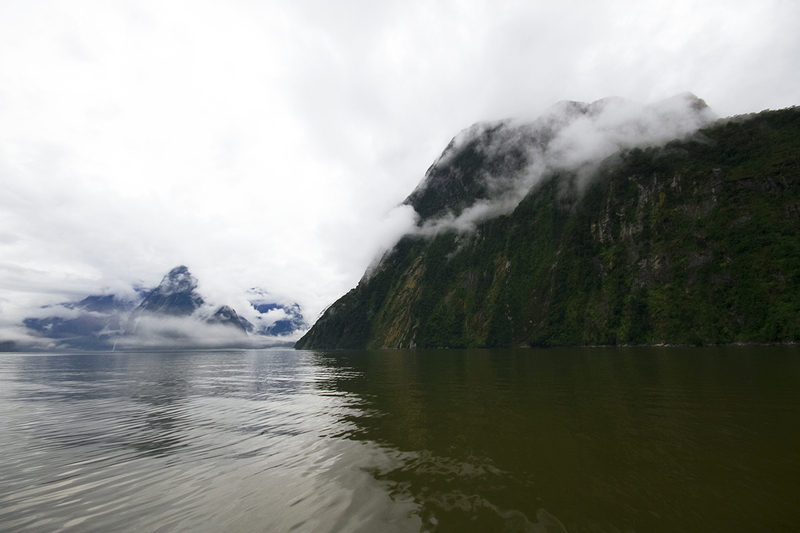 It was just beautiful. 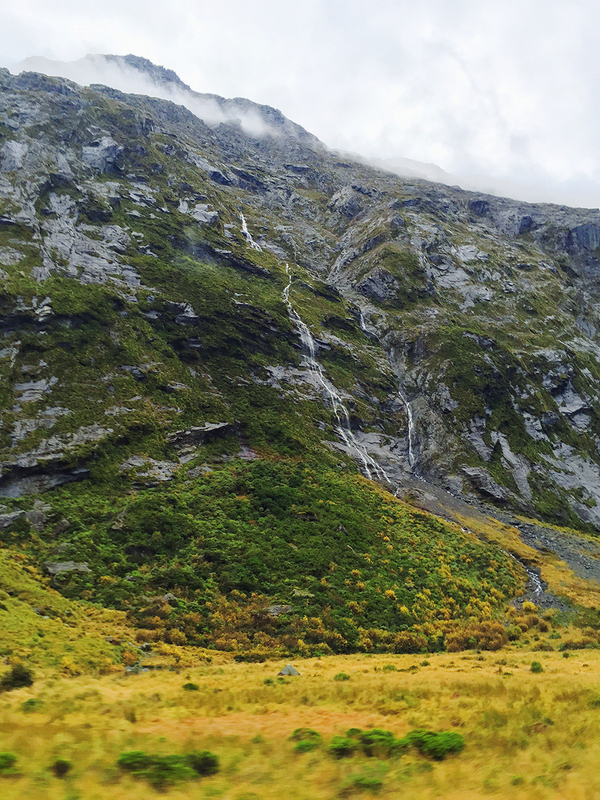 A truly magical day in a fairytale land.